As the owner of your business, part of your job is staying ahead of the curve and keeping your business on track for continued success. You probably find yourself continually navigating the twists and turns of supply and demand, the ups and downs of profitability, and anticipating what will be coming so you can successfully avoid any potential pitfalls. The daily obligations, the long-term objectives, and employee needs take much of your time. Add the responsibility of tax paperwork and reconciling your books, and you have the potential for overwhelm. We understand, which is why we have some quick tips for you in regard to managing your tax paperwork and filing deadlines. Take just a few moments to add the following quarterly estimated tax deadlines to your calendar. In addition, create a reminder with enough buffer to ensure all financials are in order and delivered to your tax preparer so you can file your estimated and payroll taxes each quarter without a scramble. Double check your quarterly tax due dates with your tax preparer and identify what type of timeline is necessary for adequate preparation. It’s important to keep up to date on your employees. Addresses, marital status, and salary can all change throughout the year. Paying attention and keeping your records accurate will help you immensely when you’re working through payroll tax obligations. Most businesses must juggle various tax rates on the federal, state, and local level. These each require their own forms. Start early and be diligent. If you find yourself buried in all the responsibilities that business ownership brings and have questions about assembling your quarterly taxes, contact us. We’re here to help you navigate the nuances of your particular business in regard to your federal, state, and local tax obligations. Tax day looms large for many. Even though we know it comes on the same date every single year, it can still be difficult to pull all the necessary paperwork together for a multitude of reasons. Fortunately, there is always the option to file a tax extension. This gives you an additional five or six months to complete your tax paperwork. Before you choose to file an extension, it’s helpful to understand the pros and cons of such a decision. Filing for a tax extension might be necessary. For some business owners, it’s difficult to get your business tax return complete before your April 15 personal tax deadline. Here’s an example: Mutual funds send out their distributions reports to shareholders on form 1099-DIV, which doesn’t have to be postmarked until January 31. A complete 1099 earnings report can’t be accurately prepared without this mutual fund earnings report. Factor in any type of amendment, and you aren’t getting the nuts and bolts needed for a personal tax return until mid-March. That late in the game it may be difficult to find a tax preparer who has space on his or her calendar to meet your need. Taking your time can reduce the risk of errors. If you’re feeling rushed, it can be easy to miss details or make math errors. You can take advantage of any amended tax laws. When you file on April 15, any tax law currently in place must be adhered to. If you file for a tax extension, any changes to tax law or tax code between April 15 and your actual filing date will be applied. Occasionally, this postponement can be to your benefit. You can strategize IRA contributions. A tax extension could potentially save you thousands of dollars on your personal taxes. This also gives you additional time to gather documents and manage cash flow if you would like to contribute to your SEP IRA through your tax extension deadline. • Personal Taxes. For personal taxes, use Form 4868. This form must be filed by April 15. (If you live outside the U.S. or your place of business is outside the U.S., you have until June 15 to file your extension.) You will have until October 15 to file your tax return. • S Corps. Taxes are generally due by March 15. Your extension due date is September 15. Use Form 7004. • Corporations. Taxes are generally due by April 15. Your extension gives you 5 months, making your due date October 15. Use Form 7004. • Partnerships, or Multiple-Member Limited Liability Companies filings as partnerships. Taxes are typically due March 15. The tax extension gives you 6 months, making your new due date September 15. Use Form 7004. Let us know if you need help navigating your tax extension. There are many benefits, but they vary depending on your goals and your specific tax situation. We’d love to talk, and it’s easier for everyone when we are able to make decisions before it’s crunch time. As a self-employed individual, small business owner, or even as a contract worker, it’s easy to get caught up in the day-to-day operations of your business and not think about retirement. That’s where a SEP IRA comes in. SEP stands for Simplified Employee Pension, and IRA stands for Individual Retirement Account. A self-employed individual, a business owner with one or more employees, and a person with a freelance income can open a SEP IRA to invest in their retirement. Let’s cover a few frequently asked questions regarding SEP IRAs below. Who benefits from a SEP IRA? The name Simplified Employee Pension is just what it means: simplified. Specifically, this means a SEP IRA is a basic retirement account. It’s best suited for self-employed individuals due to the compensation rules. In sum, if you have eligible employees (more on eligibility below), any contribution you make to your own SEP IRA must also be made to your employees. For example, if you choose to contribute 10% of your net business income to your SEP IRA, you must also contribute 10% of all qualified employees’ wage income from your business to their SEP IRAs. Are all employees eligible for a SEP IRA? No, but most probably are. If you offer a SEP IRA, an employee who is 21 or older and has worked for you for at least 3 of the past 5 years and has earned $600 or more from you in 2018 is eligible. Each of these employees or contract workers, unless covered by a union contract, can participate in a SEP IRA. If offered, all eligible employees or contract workers must participate. Is a SEP IRA difficult to set up? What are the caps on contributions? You can contribute up to 25% of your net income (net income up to a maximum of $275,000 annually) to your SEP IRA. This means that up to $55,000 can go into this IRA account each year. (If you’re catching up older employees, you can contribute up to $61,000.) Doing the math, you’ll realize that the only difficult thing to navigate is the fact that 25% of $275,000 is $68,750, which is more than the contribution cap. The IRS allows you to walk around this by deducting the amount of the contribution before you calculate your income. How effective is the SEP IRA for retirement savings? If you max out your contributions each year, your plan could potentially reach $1,000,000 (based on an assumed rate of return of 7%) in only 12 years. This is the long-term benefit. The shorter-term benefit is that this contribution lowers your taxable income. A SEP IRA contribution could save you thousands of dollars each year. Think about this – if you fall in the 24% bracket a contribution of $10,000 could save you $2,400 on your federal return. How should I time my contributions? You have until the due date of the tax return (including extensions) to make a SEP contribution. 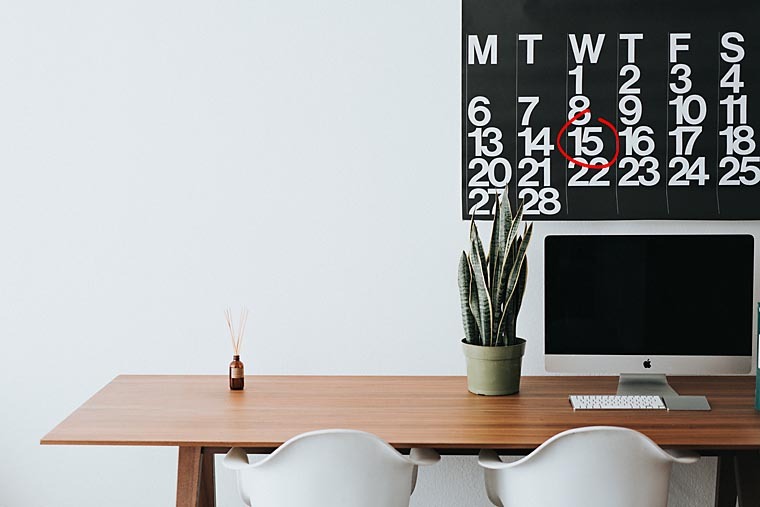 This means that if you are a sole proprietor and extended your return from the standard April 15th deadline you could have up until October 15th to make a contribution for the prior year return. Overall, if you’re a self-employed individual, small business owner, or contract worker, the benefits of contributing to an SEP IRA are definitely worth considering. Is there a downside to a SEP IRA? The only thing to be aware of is that there are penalties for early withdrawal, as with any IRA. If you remove funds before you’re 59 ½, you’ll be subject to an additional 10% tax. When you reach 70 ½, required minimum distributions (RMDs) must be taken annually, as with any traditional IRA. Does a SEP IRA complicate my tax filings? Not at all! One of the best features of a SEP IRA is that contributions can be funded after the end of the year and before your tax deadline. In summary? Contributions are flexible throughout the year, so you can contribute in line with your particular cash flow. The IRS provides simple checklists and tips to ensure your SEP is operating within the proper bounds of the law. If for some reason you get off track, tax benefits could be lost. Fortunately, any errors can be corrected by using one of the IRS correction programs or by following their SEP Plan Fit-It Guide. If you’d like to understand more, let’s have that retirement planning conversation so you and any employees can benefit. 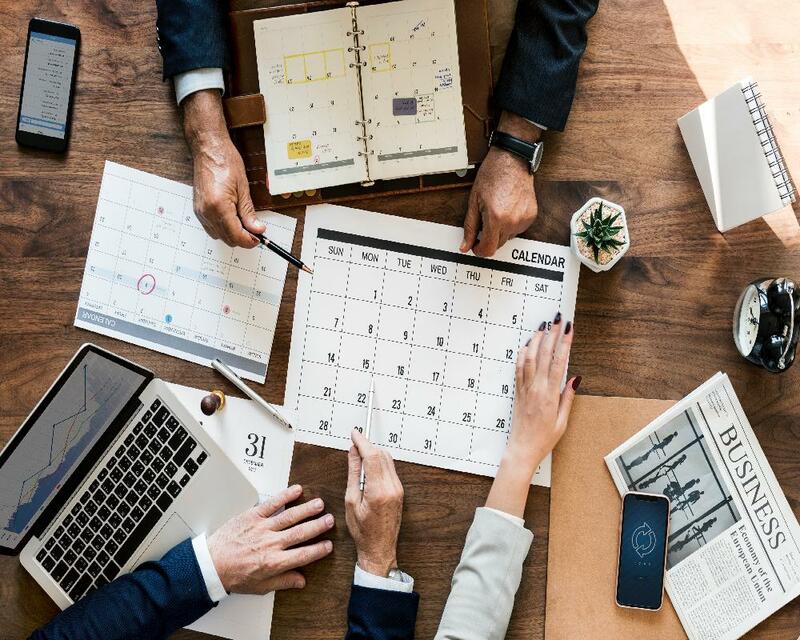 Tax deadlines tend to loom large and gathering all the things you need can seem daunting, especially as a business owner. Don’t wait until the final weeks before your tax return is due. Here are a few things you can do now to make filing your return easier. - Health Insurance Premiums, etc. - Professional fees, including lawyers, accountants, consultants, etc. - Payroll records including a copy of all W2 and W3 reports. Don’t forget your other tax obligations. Property tax, local taxes, excise tax, self-employment tax, payroll records, etc. These are all expenses that need to be tracked and noted when you file your taxes. If you want to avoid IRS penalties, take your time on payroll tax compliance. We are here to help, but it’s always good to track your own deadlines so you aren’t caught off guard. 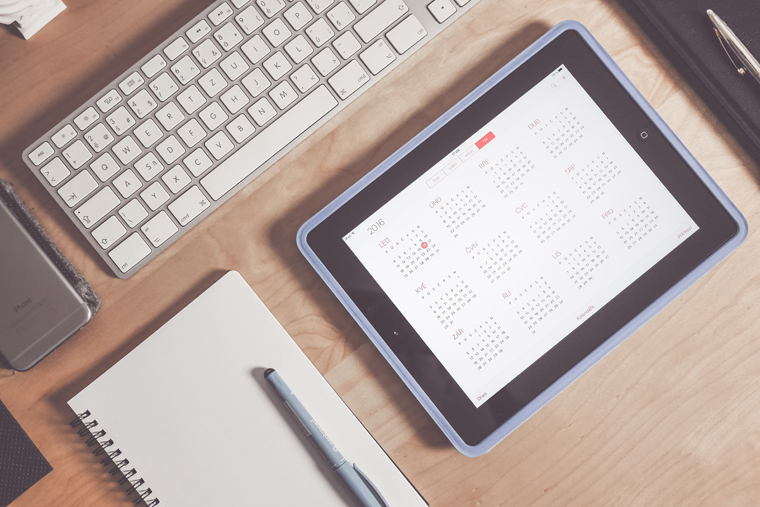 If the above dates don’t give you enough time, reach out to us as soon as possible so we can help you request an extension of time. Don’t forget: extensions do not give you additional time to pay, but they do give you additional time to file your return. The sooner you get your paperwork in, the sooner your accountant can start working on your taxes. Not only can this give you great peace of mind, it also removes the last-minute scramble to find any paperwork you may have forgotten. For most businesses, the fiscal year ends December 31. If you’ve been keeping track of your paperwork throughout the year, consider submitting your paperwork to your accountant in January. Keep an eye out on your emails. Beginning in early January, we will be sending out emails to let you know that your Tax Organizer is available on our secure portal here. (Don’t forget that you can also upload documents to your portal at any time!) Once you have all of your documents uploaded, call us and let us know you are ready for us to start. If it all sounds overwhelming, call us. 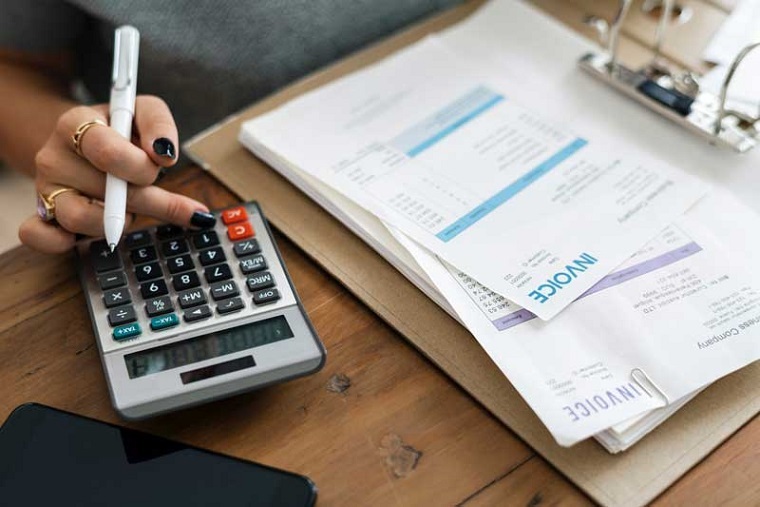 We’ll answer any questions you have, help you come up with an organizational plan for your taxes and business finances, and get you on track to make Tax Day a breeze. In recent years, trends are showing that more companies are using contract workers. It used to be that most employees had fixed hours and stayed at a company for 40+ years. This trend has been decreasing as more companies hire contract workers. Not only does this practice provide more flexibility to the hiring company, it also provides these contract workers greater flexibility in the work they pursue. In fact, according to survey research conducted by Lawrence Katz of Harvard and Alan Krueger of Princeton from 2005 to 2015, 94% of job growth was in the alternative work category, and over 60% was due to the rise of independent contractors, freelancers, and contract company workers. This constitutes nearly 10 million jobs! If you decide to use contract workers in your business, you need to know the tax rules that apply, and how they differ from employee tax rules. Contract workers control their own work hours and the way they complete their tasks. Only the result of the work is under the hiring company’s control. While you can supply tools or equipment, significant investments in the equipment used are generally incurred by the contract worker. In addition, contract workers invest in their own training and licensing. Contract workers are typically hired on a short-term basis for a specific task. 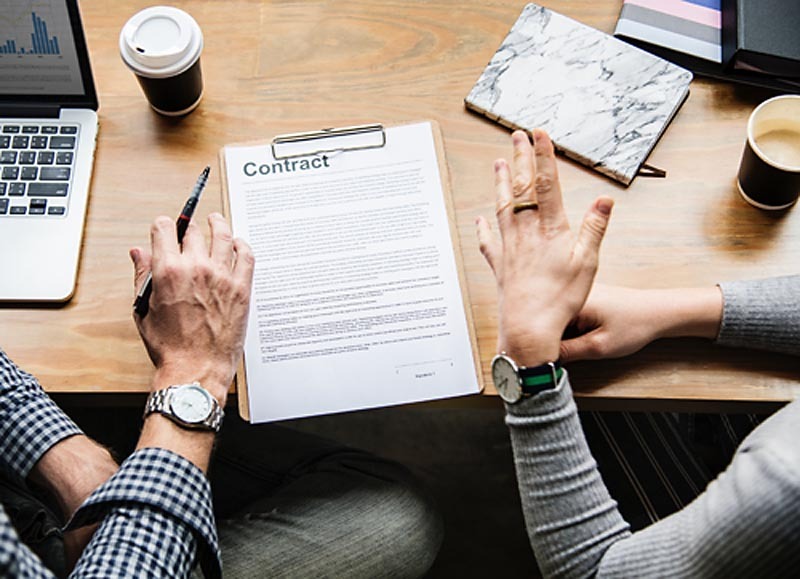 If there is a perception that the relationship is permanent, it can be seen as evidence that the relationship is more of an employee / employer arrangement. Sometimes it is difficult to determine where the line falls between contract worker and employee. If you have questions, let’s talk. You can also review the IRS definitions here. There should be a clear line between employees and contract workers. In other words, you can’t lead third parties to believe that your contract workers are your employees by assigning them work email addresses, ID badges, etc. This blurring of the line outwardly can pose a problem when it comes to tax classifications. As you can see, the line between contract worker and employee can be difficult to navigate at times. (Here’s a chart from the DOL that outlines the difference visually.) If any of these lines are crossed, the DOL and the IRS will be more likely to lean towards identifying your contract worker as an employee. Consequently, you’ll be responsible for paying back taxes, penalties for income taxes, wage and overtime compensations, Social Security and Medicare funds, and unemployment taxes. You may even need to provide the newly designated employee with benefits. We want to help you avoid any such penalties. If you have questions regarding your worker classification, let us help you! 2018 brought changes to the entertainment deduction rules. We want to ensure that you’re not scrambling to meet these new standards. Before you find yourself stuck financially, let’s review these new rules for 2018. You know the drill: You’re out to dinner with a client or co-worker discussing work and you file away your receipt to pass on to your accountant for a tax deduction. 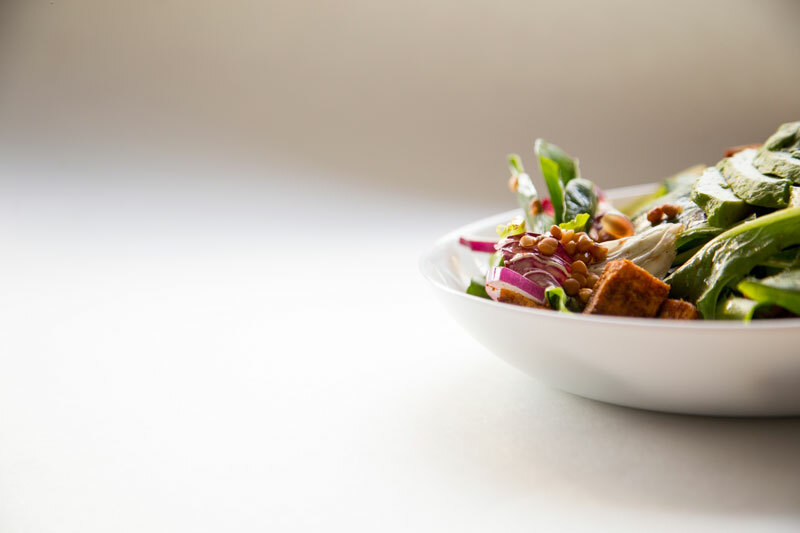 50% of these business-related meals — as long as they’re truly business-related meals — are still deductible, as well as transportation to and from restaurants for work-related meals. But the new law states that these meals can no longer take place at nightclubs, cocktail lounges, country clubs, sporting events, or on fishing trips. So keep your clubs secure and your fishing rods stowed if you want those deductions in 2018. Tips for Best Practice: On your receipt, write the business topic discussed and the individuals who were present at the meal. It’s important to do this because in the event of an audit, the auditor may disqualify any meal expenses that aren’t properly documented. Event tickets and club memberships are great gifts to your favorite clients, or perks for your employees. Half of these expenses used to be eligible for a write-off, but with the new laws in place this is no longer possible. And yes, this even applies to tickets to qualified charitable events. So say goodbye to the skybox unless you can spring for it without the deduction perk. Tips for Best Practice: We realize that club memberships are often a great way to socialize on behalf of your business. Under the new rules, it may be more financially beneficial to become a sponsor for an event instead. Often, these types of sponsorship expenses can be written off as advertising. If this is something you’d like to consider, let’s talk about the options available to you. There are many employee perks that can also benefit your taxes. We’re only covering parking and incentive payouts here, but if you’re looking for additional options, give us a call. In 2017, employers were allowed to write off all the parking permits and transit passes they handed out to employees. The new law states that employees can exclude the perk from their income, but companies can no longer write off the expense. 2018 brought changes to employee incentive payouts as well. In 2017, each award was deductible if it was under $400 cash and an employee was awarded no more than $1,600 per year. Awards can still be granted, but you can no longer award with cash or gift cards. 2018 laws say these items must be tangible personal property instead. Tips for Best Practice: If you’re a company paying for employee parking downtown, you need to be aware of all that is involved so both you and your employees are coming out ahead. Contact us and we’ll help you evaluate these costs. As a reminder, document, document, document. 2018’s entertainment deduction rules on documentation haven’t changed. The rules still require you to document the date of any client meal, who was present, and what business was discussed. If you can’t substantiate your deductions, you won’t be allowed the tax deduction. Company parties are still 100% tax deductible. (Summer picnics, too!) So while your employees might not get there on a tax-deductible transit pass, your end-of-the-year party can still benefit your tax situation. In fact, it may be the last chance of the year to wedge in as many write-offs as possible. For most people, long-term tax planning is something they know they need to get to, but it’s not a monthly or even annual habit. And we’ve found that most of the time it’s simply because people just don’t know how. Sound familiar? You want to get a tax plan in place but don’t understand all the options and don’t know how to figure out what would be best for your specific situation. All this likely leaves you stuck. That’s where we come in. We know the plans and programs available, and the ways tax reform is shifting your options. Additionally, we know how to ask the right questions to put you in the driver’s seat when it comes to long-term tax planning. If you have kids, you probably lie in bed at night and think of all the things they’re going to need as they grow up. If you’re a planner, you might think about their college fund and how you’re going to grow it. The cost of education has only increased in recent years. In fact, College Board reports the trends in their 2017 report, where they highlight that college costs went up 3% in just the past year. (Not to mention the astronomical increase in tuition costs since the late 80s, especially at private colleges and universities.) As such, you’re probably searching (along with most parents) the best way to finance your children’s educations. We’re here to help with some simple tax options that you may not know about. A 529 Plan, a tax-advantaged savings plan, is legally known as a “qualified tuition plan.” What’s that mean? Basically, it’s a savings plan that is tax-deferred. If the money is used for qualified higher education expenses, the money can be used tax-free. Additionally, any capital gains from your investment are tax-free as well. The best thing about these savings plans is that because of tax reforms, now up to $10,000 can be used toward K-12 tuitions. (When using these funds for college education, money can be used not only for tuition, but also room and board, technology items, and books and supplies.) No matter what state 529 Plan you invest in (each state is slightly different and Savingforcollege.com lists the top 10), you can use the funds for any qualified college nationwide. That’s over 6,000 colleges and universities, and even covers more than 400 international colleges and universities. But know that as an Oregon resident, you may get tax benefits when investing in an Oregon 529 Plan. (The same could be true if you’re a resident of another state and open a 529 Plan with that state.) Call us, and we’ll walk you through the 529 Plan that’s best for you, your taxes, and your kids. Once you have your kids’ education plans situated and you’re confident that your right-now and near-future tax benefits are taken care of, it’s time to strategize long-term taxes and think about retirement. The goal in retirement is to keep your taxable income as low as possible. Keep in mind that many of the tax deferments during working years can come back with higher tax rates during retirement. There are things you can do before you’re 54 to qualify your withdrawals and reduce taxes later. Call us and we’ll talk about what these tax benefits might look like for you. Charitable contributions are a great way to generate tax deductions. Many don’t realize that you can really optimize your tax benefits if you apply a little strategy to your giving. Last year, tax reform changed tax brackets and tax deductions, so you might not realize that shifting some little things can make a huge difference. Think about this: you give a few thousand dollars every year to your favorite charity. Kudos! But what if you’re hitting the standard deduction? You’re missing out on some advantages, and it might behoove you to donate a larger amount every other year instead. We thrive on strategic tax planning — call us and we’ll answer your tax questions. Some of the most important tax advice we can give is to look for ways to diversify your retirement income. From Roth accounts to social security, savings accounts to bonds, pensions to rentals, we can strategize ways to keep your income diverse. This is vital, especially if you find yourself in a higher tax bracket. 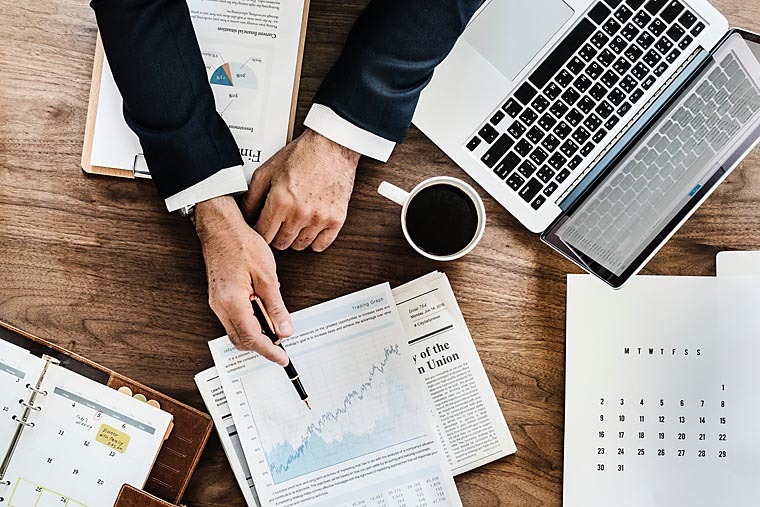 If you want to explore some long-term tax planning, odds are that we can help strategize a better tax solution for you. Call us — we’re all for tax planning that benefits your financial future.